Don't wait for the big anniversary milestones to wow your spouse. It's easy to get caught up in the humdrum of everyday life, so anniversaries are the perfect time to stop and pause and reflect on how far you've come. 4th wedding anniversary gifts are the classic 'inbetweener'. At this phase in your marriage, you haven't quite made it to the neat 5 year milestone, but it's still early days so worth getting it all just right. These ideas will inspire you to make the right impression and enjoy the occasion for what it is - a celebration of love. Say cheese, it's your anniversary! 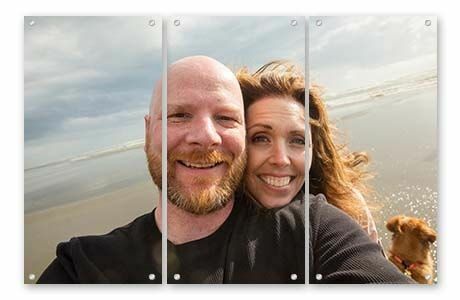 Embrace the fun and the smiles with a bright, upbeat split image glass gift. Who knew one photo could have such dramatic effect? That's the beauty of split image prints and that's the glamour of glass. It will take any single photo to the next level of awesome. 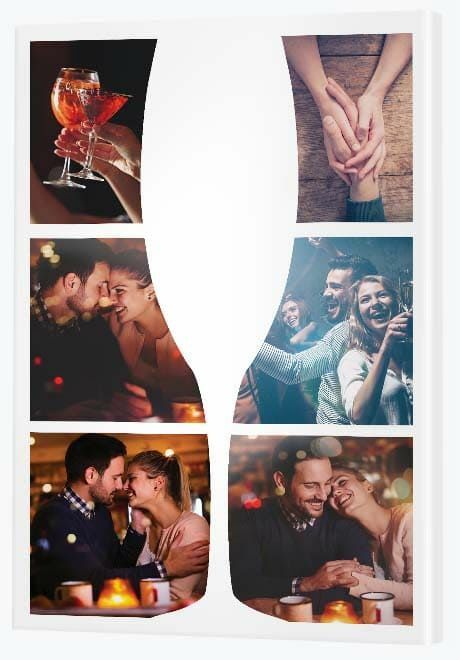 This gift is all about putting the good times up in lights, so find a photo of you and your spouse having lots of fun in the great outdoors (or the more humble indoors) and print it in this stunning style. Funky 4th wedding anniversary anyone? Every love story is beautiful and unique, so tell a story from the heart with a super cool wall display of quotes. Get your funk on with a sassy word art display you'll both love hanging in the home. 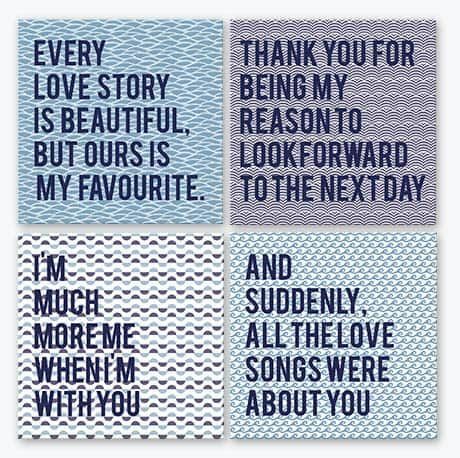 Transform sappy words into edgy art with a four panel display of love quotes that speak to your relationship. If you're not into soft pastels and florals, you don't have to settle. This idea is all about customising a work of art that's right for you. You can design something like this yourself using a tool like Canva. Otherwise find a graphic designer to help out. Just make sure the resolution is quite high so that the words and the images totally pop. Affordable art that will knock your partner's socks off? Bring it! Turn the white wedding of her dreams into a spectacular wall display that can be enjoyed each and every day. Whether you spared no expense or managed to create something beautiful on a budget, your wedding day is that special day you'll remember forever. For her it was all about 'the dress', the cake and the decorations. Happy days. 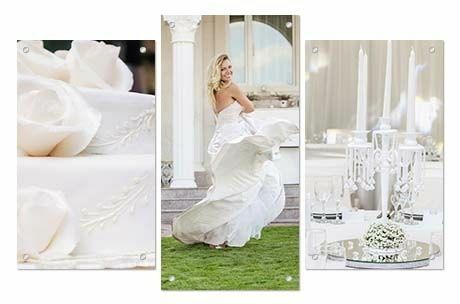 Photos from quintessential white weddings looks incredible on glass as the acrylic glass prints provide a fresh, cool, classy look. 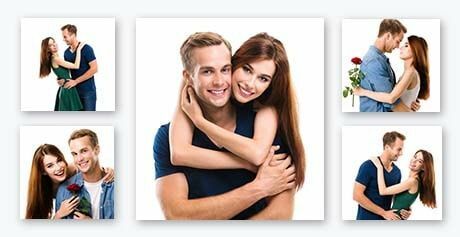 Arrange a professional photo shoot featuring just you and your love then print it as a wonderful wall display. The wonderful thing about wedding anniversaries, especially in the early days, is they're all about the two of you. A professional photographer will bring out the romance, the passion and the intimacy you share. A canvas wall display will provide a visual representation of the start of lifelong love together. Print your wife's favourite coloured rose on metal for a magical gift that will take her breath away. 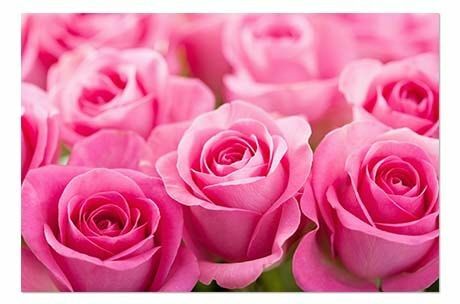 Speak the language of love by finding a fabulous photo of roses and printing it on beautiful brushed aluminium. The result will blow her away - and will look fantastic on the wall. Life is short. 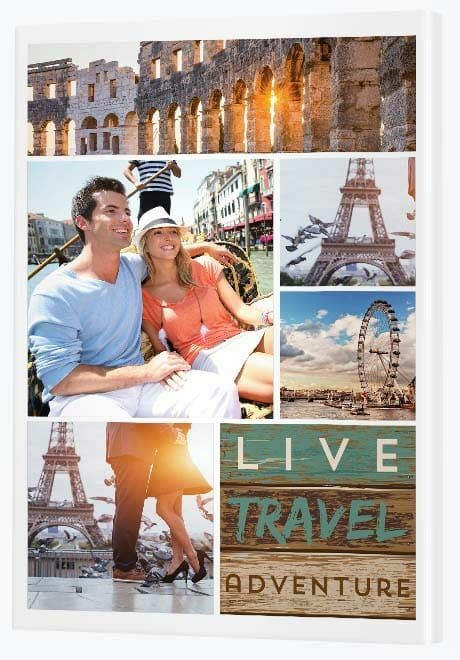 Help magnificent memories last that little bit longer with a terrific travel collage. The journey of love is a long one and sometimes life takes over. Don't let those wonderful memories slip away! This gift is about celebrating those travel adventures you took together by creating a collage of photos. Did you backpack through Europe together? Enjoy a perfect honeymoon cruise? Go on a road trip? Our themed travel template is a stylish, contemporary choice with 5 photo frames and a rustic 'Live. Travel. Adventure' word art image. Creating a collage is a lot of fun. The key is finding the right shaped shots to fill the different shaped frames. Use the 'move' and 'zoom' tool to position your photos to suit. 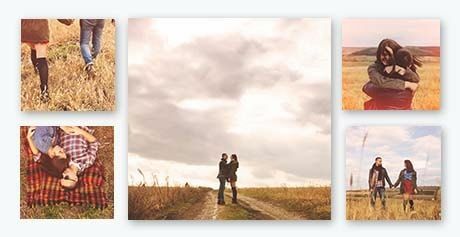 If you'd like to fit more photos or build a travel print without the word art, you'll find more creative template options in the Traditional, Modish and Silhouette collage sections of the Canvas Factory website. A whole lot of love created the new light in your lives, so give him or her the canvas treatment. This gorgeous modish design is just begging for an artistic feature in the centre circle. We chose flowers, but you can choose any image you like. Then all you have to do is fill the three other frames with your favourite photos of you, your spouse and your special little one - and your job of love is done. Party on with a celebratory tipple and a very sassy wine silhouette photo collage. Not quite ready to settle down and push out the babies? Never going to be ready? This is the canvas for you! Celebrate all the fun and fanfare of your life out and about. Love resort holidays? Get out there, take heaps of travel snaps and build a fun-filled cocktail collage. Love big city life? Get those funny, drunken selfies off the phone and print them onto canvas. These silhouette collages don't have to be taken seriously and nor does your 4th wedding anniversary. If you don't have any photos handy, party it up for your anniversary, get the camera out and mark the occasion with plenty of fun photos. Dine in the best establishment, enjoy the finest of wine and dance the night away. Live it up - and get those memories on canvas - before the reality of babies sets in. This canvas is so hot, it may very well burn through your walls - kidding! Step 1: Hire a professional photographer. Step 2: Dress in something mesmerising. Step 3: Find a lush waterfall setting. This gift is all about the passion. A professional photographer will support you to be courageous in your ability to work the shot. 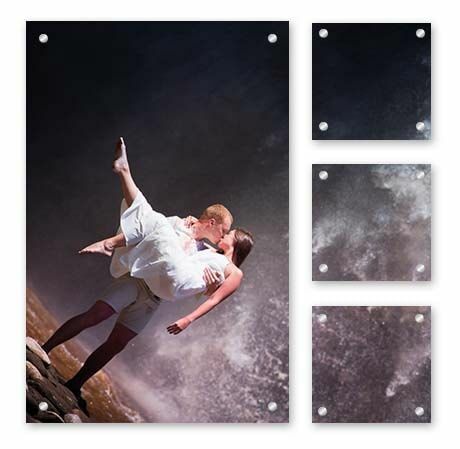 Throw inhibitions to the wind and revel in this steaming hot work of art - a sizzling couple photo split across four glorious brushed aluminium prints. This is one wedding anniversary experience you'll never forget nor regret. Give your partner a pawsitively perfect anniversary present, something that will bring you both joy. We hearby declare the fourth wedding anniversary symbol the pet! You know you're on board with this already. Genius, right? 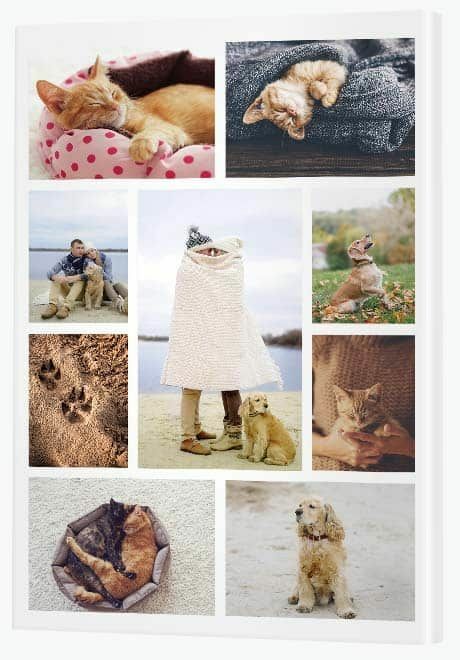 This anniversary present idea is for those couples who are totally smitten with their fur families. How adorable are these photos? Pet prints are the new family portrait, so if your spouse is as much in love with your pets as they are with you, this is the gift for them. "Pets are bundles of love wrapped in fur." "Some angels choose fur instead of wings." The options are endless. The result? The most awesome furry 4th anniversary present you've ever seen! 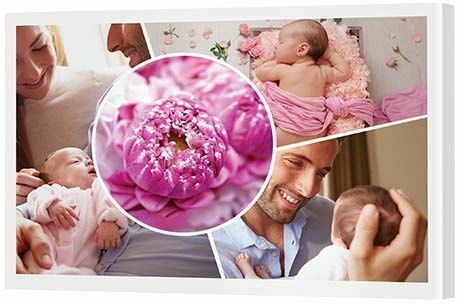 Feature your growing family on this gorgeous three frame wall display where every family member can be a star. The family's growing fast, but if you're stopping at two, this gift is a wonderful way to rejoice your life together so far. A lot can happen in four years can't it? Printed on glass, the result is something cool, fresh and fashionable. An expansive wall display is first-class art. All you need are first-rate photos. Arrange a professional photo shoot or sort through photos you've already taken over your four years of marriage to create a fabulous, high impact work of art. Work on this together as a joint gift or surprise your spouse with an anniversary present that will feature pride of place in your home.